Having a desktop computer learning widget - as well as having access to your widget via mobile device - is probably the most modern and handy way to start learning a new language. The act of daily revision of your vocabulary is critical to memorization, expanding your abilities, and helping you on comprehension and response when in real conversation. Though I don't have much experience with the mobile version of Rosetta Stone, I found the the computer program was a good starting point in getting the framework of a language down. It began to introduce sentence structure very early in the learning process, which was helpful before expanding vocabulary. However, my favourite app and computer program has to be Duolingo. It's user-friendly, tracks your progress with points and bonuses, has amazing tools for studying and improving upon learned words and phrases, and has a variety of methods for increasing comprehension and memorization. The Rosetta Stone app has more visual tools. They allow you to study many introductory levels for free, but if you want to make the most of their tools, you gotta shell out some $$$. That's why I love Duoling the most.. because it's free and I am cheap AF. Tackle a new tongue by signing up for a language course. This is especially fun if you're in a country where the language is native, and it's usually more affordable. Taking some Spanish lessons in Peru or Chinese lessons in China will give you the experience of learning and also utilizing those new skills on a daily basis. 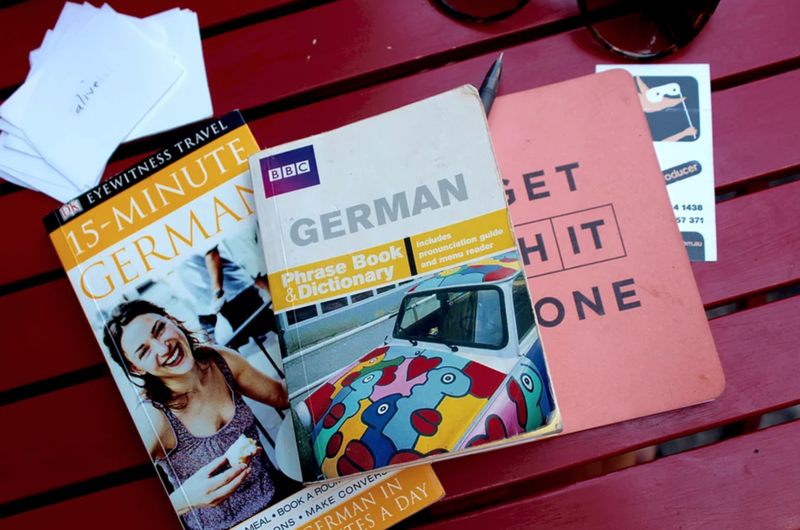 But of course, it's also a great idea to prepare for a trip by learning at least the fundamentals of the local language. Depending on where you live, you will likely find hundreds of local courses in your home city, sometimes even free courses at community centers, libraries, universities, clubs... just do a little bit of research. If you are in University and have extra credits you need to fulfill, I highly recommend you utilize those credits by enrolling in a language course for a place you plan to visit. If you arrive in a new city where you don't know the language basics, pick up a tiny-sized phase book & dictionary and carry them with you. Even if you don't intend to learn a second language, knowing and utilizing a few simple phrases will really enhance your experience. How would you like if a Swedish person comes to your cafe in Boston and asks for a coffee with milk in Swedish? Probably the first few times it's very cute, actually. And they ask you things you can understand even despite the fact that you don't speak Swedish - through hand gestures and context. But then imagine every day more and more Swedish people come in and speak with you only in Swedish, not attempting to speak any English. They ask for the toilet, for napkins, extra hot coffee with 3 sugars, and are using words you probably can't fully understand, but you do your best to communicate. While you can understand that not everyone should be able to speak English, you would probably feel a bit stressed. Now imagine a Swedish person comes in one day, and in the cutest little accent, they ask you for a coffee in English. They flip through the pages of their dictionary and look back up at you and ask for sink water with ice. Wouldn't you appreciate the effort and want to give them a hug? The locals will appreciate your effort, even if you sound like a complete knob with a butchered accent. And, learning a few simple phrases could lead to a more vested interest in language study - something you never thought you'd become so passionate about! For anyone who is a visual learner, like me, flash cards are invaluable in the process of learning a new language. While it may seem old-school and ineffective, I find that I store the card somewhere deep in my memory, and can sometimes dig into that database to remember words I learned 3 years ago. While there are apps to create flash cards, or apps that have pre-loaded language flash cards, I find that hand-writing my cards also helps me with retention and reinforcement. Once you're at an intermediate level of language speaking, it's a great idea to begin watching some films in the language you study. If you're feeling ballsy, go without subtitles. Another option is to watch your favourite films - the ones you already know all the words to - with the new language redub, or to have foreign subtitles on-screen for association. This is also a great way to track your progress - watch the same film again after six months of studying, and notice how much more of the content you can understand without reading along. The google translate app is LIFE. Try to not rely on it when you're writing with foreign friends or structuring complex sentences, but rather use it to translate one-off words you think of in the day, or to translate a sentence you wrote in a second language back to English to ensure there are no glaring errors. It sounds old school, but for audio learners this can be very effective. I downloaded some audio phrases and learning podcasts that really helped to establish sentence structures while also building out vocab and improving accent. Living in a different city can offer invaluable practice, and really puts the pressure on so you learn faster, surrounded by native speakers and igniting an excitement and a real motivation to communicate. From my personal experience, it can be really overwhelming to arrive in a new city without a solid base of knowledge. Try and squeeze in as much learning before you arrive so the immersion can really hit home everything you've been storing. Gear up for your trip overseas by downloading the Tenzing - Trust the Path app! Get in the know of all the best places to Eat, Stay, and Go, and document your own little black book of favorites. What are your best language learning tools? Comment below!